._:::- I ♡ Beccikie -:::_.: SPAM! 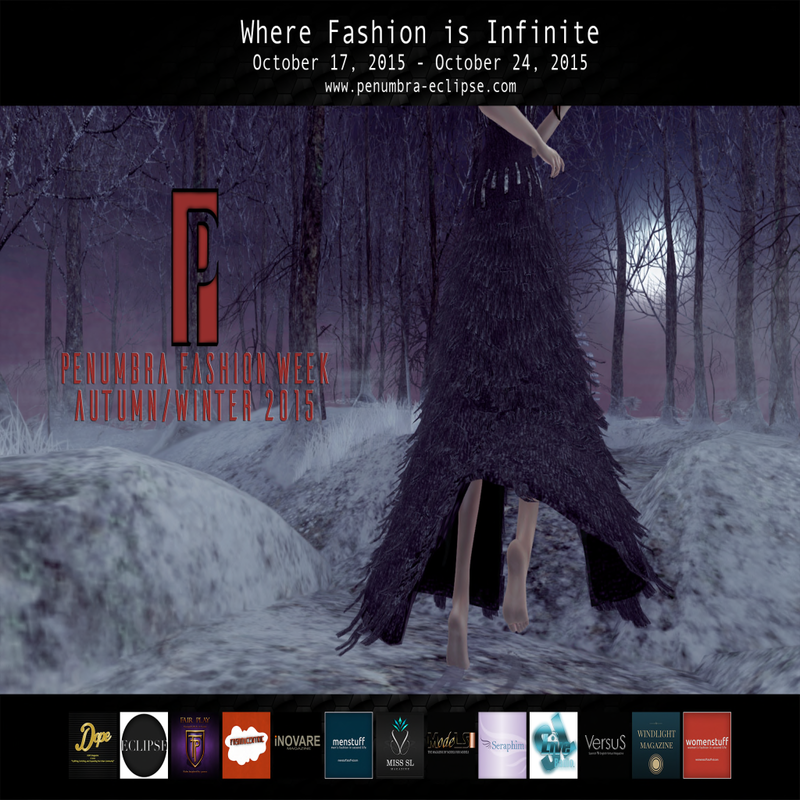 Penumbra AutumnWinter Fashion WEEK 2015! I am very pleased this year to be an official blogger for such a prestigious event such as Penumbra Fashion Week. This means a lot to me as a blogger and model. Here is the official Press Release distributed by the Penumbra Team. Please enjoy reading. .PENUMBRA. releases the full line-up of participating designers for their upcoming and highly anticipated Autumn/Winter Fashion Week 2015. Consisting of over 50 designers from across the grid, showcasing more than 280 outfits in 16 spectacularly produced shows, this fashion week is poised to be the foremost and unparalleled fashion event of the year!